Norma Baker-Flying Horse is making a name for herself with both her work ethics and brilliant appliqué artwork; meet the woman behind Red Berry Woman. A mother of five, assistant to the Three Affiliated Tribes (Mandan-Hidatsa-Arikara) Tribal Chairman, fashion designer/beader/creator-in-demand, wife, and aspiring business owner, Hidatsa, Dakota Sioux, and Assiniboine Norma Baker-Flying Horse usually needs no introduction to whether or not she can accomplish daunting tasks. Already juggling a demanding career, business, and family, her accomplishments and goals continue to pave a path that inspires many. 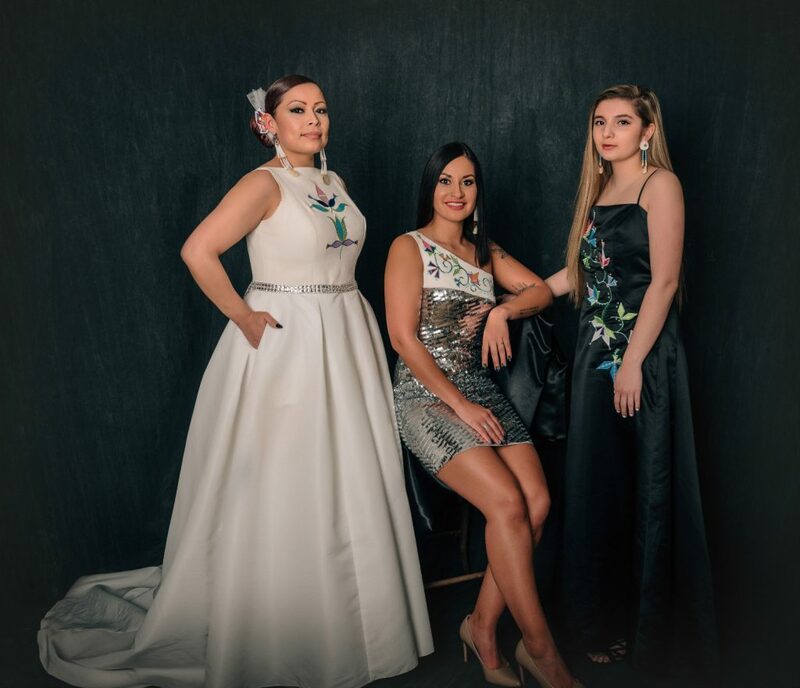 Last year, she showcased her fashion line Red Berry Woman at several fashion shows, including Native Max’s Native Fashion in the City as well as her own fashion show that attracted the participation of various dignitaries from Indian Country including former Miss Indian World (2016-2017) Danielle Finn and Breaking Bad’s Jeremiah Bitsui, among others. She will be gracing the Native Fashion in the City runway show again this year with some of Indian Country’s brightest fashion designers. Norma joins the ranks among some of Indian Country’s most renowned artists, and her demand includes years of waiting. 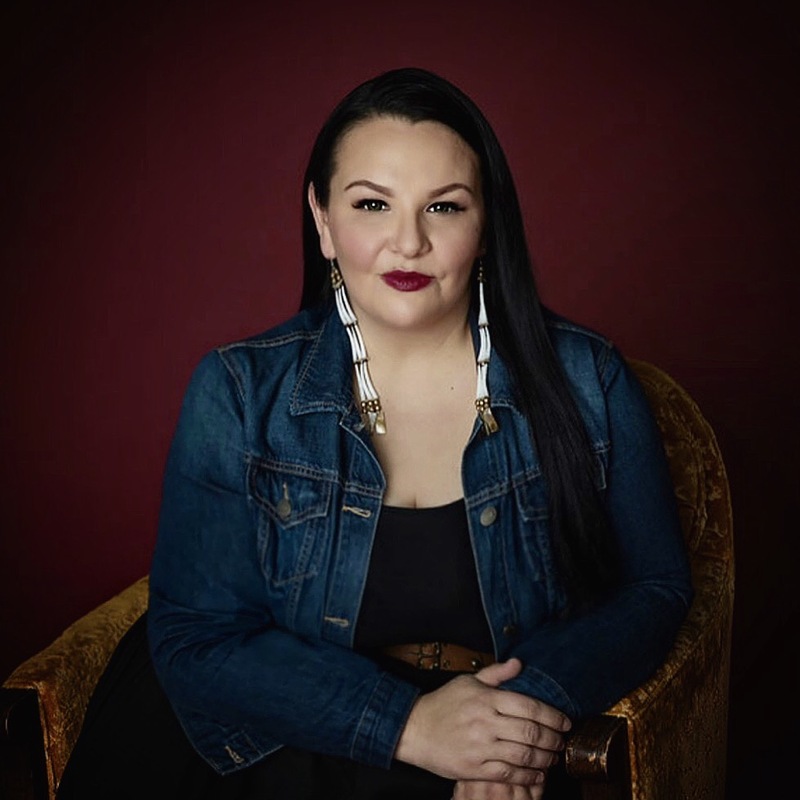 Her work is high in demand from many of Indian Country’s dignitaries regularly making appearances on the red carpet or at some of the most prestigious events celebrating Native people. Norma shares her journey isn’t entirely self-motivated, however. She credits her grandmother Beverly Walking Eagle-Baker and her mother Roberta Baker for teaching her the basics of both beading and sewing while a teenager. And although her talent and skill in beading is worthy of museum curation, it’s her sewing that is her focus. 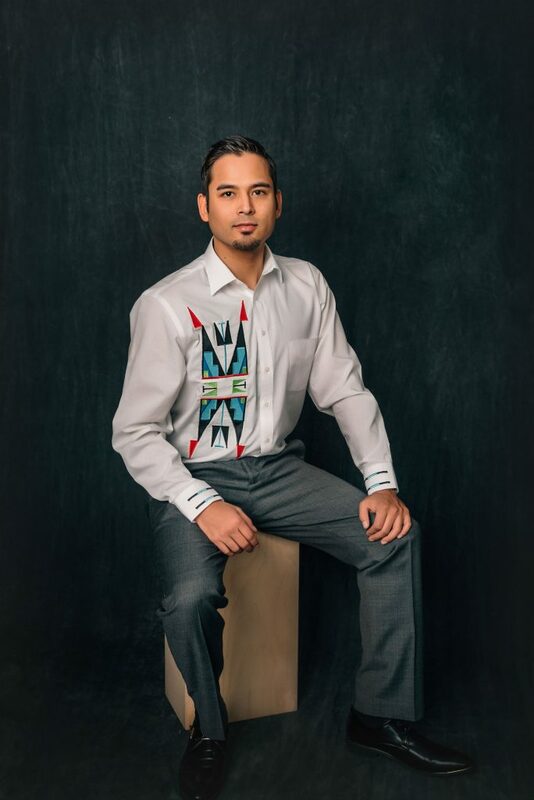 Her younger brother Caleb Baker introduced her to appliqué work that is well-recognized among Northern tribes, and she has continued to build on and brand her style of appliqué that is renowned throughout the country and beyond. She mentions two well-known and accomplished fashion designers that motivate her: Jamie Okuma and Bethany Yellowtail. 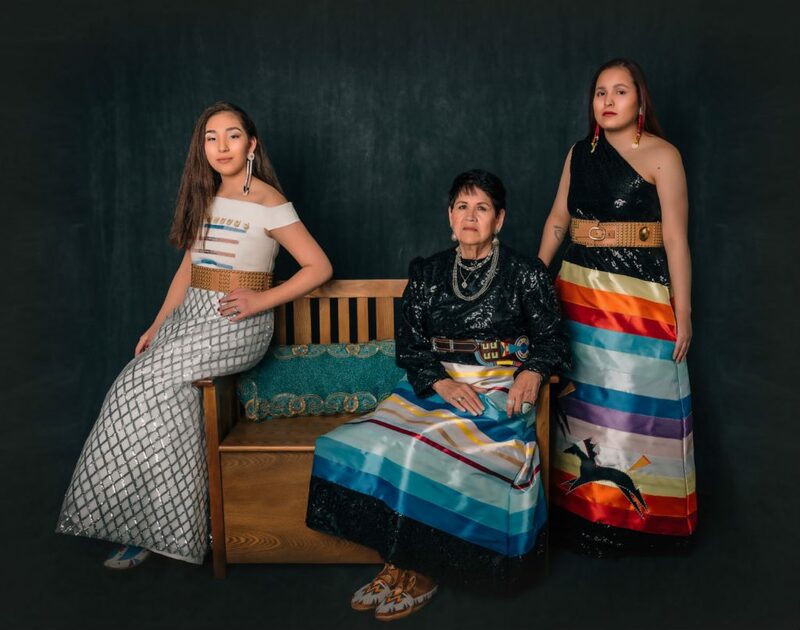 Both designers have paved a trail that many have followed throughout Indian Country, and there is no doubt Norma is on her to being another trailblazer. Handling a business is no easy feat, and Norma manages all levels of her fashion line Red Berry Woman including creating, consultation, promotion, marketing, and development. With a future paved by many years of dedication and hard work, Norma continues to express how excited she is to share her journey and future goals. You can follow Norma Baker-Flying Horse via Instagram at www.instagram.com/red_berry_woman or see her work showcased at this year’s Native Fashion in the City of Denver, Colorado. For more information on Native Fashion in the City’s schedule of events, please visit www.nativefashioninthecity.com.